Exceptional transports are transports that are particularly wide, long, heavy and/or high. That particular type of transport involves a lot more than driving from location a to location b. Both the planners and the drivers require a lot of specialised knowledge. They have a lot of knowledge of the machines to be transported and other aspects such as the routes to take, permits and safety. Our company has 2 branches: Emmeloord and Konz, Germany. 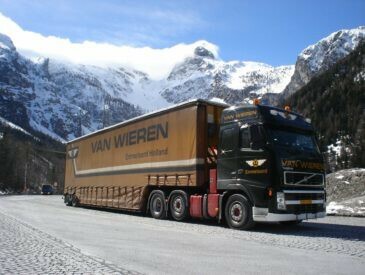 Van Wieren Special BV is specialised in transporting and distributing of self-propelled machines up to a weight of 100 tons. Those machines, often destined for road building, industry, agriculture can be built both on tyres or caterpillars. 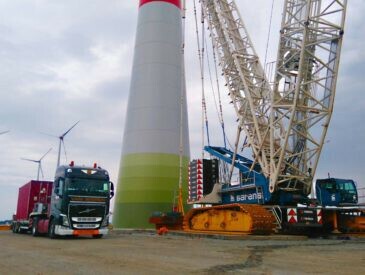 In addition, Van Wieren Special BV also transports any other exceptional freight such as for example (parts for) wind turbine parks, gas turbines, pipe ducts, etc. Many low loaders and semi- low loaders are available in various versions. 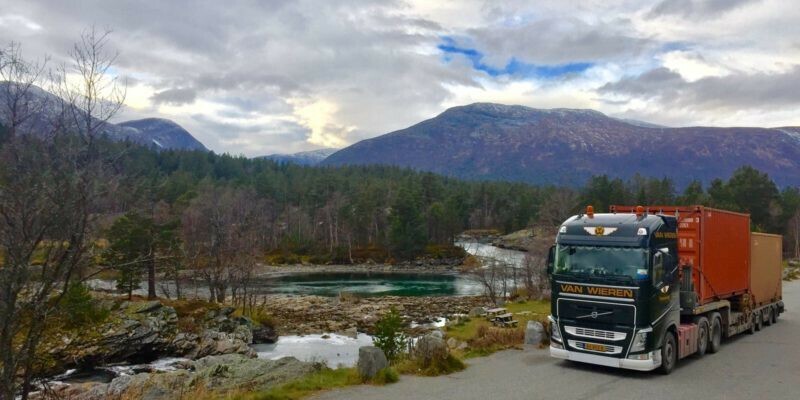 Besides road transport we daily use short-sea services for unassisted and assisted transport to destinations such as, currently, the Scandinavian countries. We work closely together with fixed local partners who carry out the transport to the final destination for us. But Van Wieren Special BV remains responsible for the total journey and is also your sole contact person. Van Wieren Special BV also has several vehicles with cranes of up to 110 ton/metre for autonomous loading and unloading of the load. 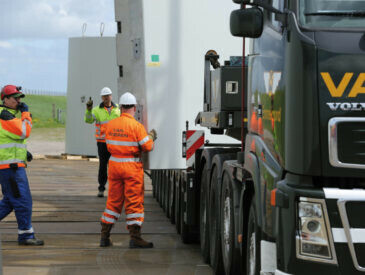 These combinations are mainly deployed for the transport of building materials and heavy units. Obviously they are operated by qualified drivers who know their job and expertly can operate the radiographic cranes. A few low loaders are built like tilt cars. 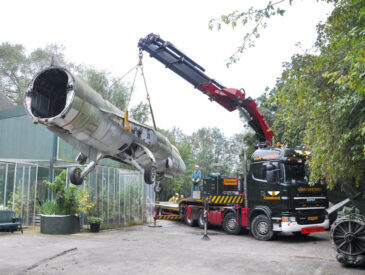 Those low loaders enable us to transport valuable and fragile machines, disassembled, clean, dry and safe to any European destination. This is currently possible up to a maximum inner height of 3.50 metres. Our former joint venture L.C. 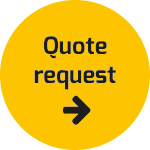 van Tiel Logistics BV is specialised in large projects and an expert in (door-to-door) shipping of, among other things, heavy and large machines. This joint venture also deals with the air transport to various global destinations. Together we dispose of a global network which enables us to provide any conceivable transport services to our clients. Our mutual efforts and daily co-operation ensure that your load arrives at the agreed place on time.